When it’s all said and done, I will have paid over $13,000 this year in renting alone. To be honest, that’s the first time I’ve ever written that and it’s a bit overwhelming. For me – and maybe even for you – renting may just make sense for you right now. But, over the long term buying a home is a good investment and can be possible for you right now! Between paying rent and other life expenses, it can be hard to imagine saving the money for a substantial down payment. If the thought of saving your pennies for the rest of your life is a bit intimidating, one of these alternate down-payment options could work for you. Remember: with most alternative down payment options, you will probably have to pay for mortgage insurance, too. If you have good credit and a small down payment of at least 3.5%, a Federal Housing Administration Loan could be a good alternative for you. You will need to pay mortgage insurance, so keep that in mind as you home shop. The Conventional 97 Program could work for first-time buyers if you fit the program’s criteria. If you don’t have the resources to save large amounts of capital, a small down payment could be your option. 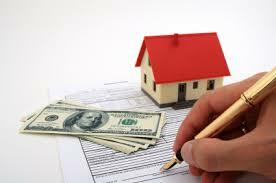 Some states offer assistance to buy homes to encourage home buying. You can learn more at your state-specific website. Whatever you decide, just be sure to do your research! In some instances, a mortgage with extra insurance could be financially smarter than your $1,000 monthly rent.